Ever wondered how you get all those wrinkles? Those annoying crow’s feet at the corners of your eyes? Or those laugh lines around your mouth? Sure, these things are but part of the normal aging process. But what causes aging anyway? And is there anyway to retard it? In biological systems, the normal processes of oxidation are what lead to aging. Oxidation causes the production of substances called free radicals which are highly reactive. These free radicals can readily react with and damage other molecules. Note that it says “molecules” so that means free radicals don’t make the distinction between foreign bodies and healthy cells. And when free radicals start attacking the body’s own cells, you can guess what the results are – Aging. Well, have we got good news for you? Free radicals are natural enemies of antioxidants. The function of antioxidants is to destroy harmful free radicals, counteracting the damaging of tissues and in effect, treating aging or causing its retardation. Antioxidants are commonplace in nature. In fact, antioxidants are abundant in more common vitamins such as retinol or Vitamin A, ascorbic acid or Vitamin C, tocopherol or Vitamin E, and selenium. They can be nutrients (vitamins and minerals) as well as enzymes (proteins in your body that assist in chemical reactions). 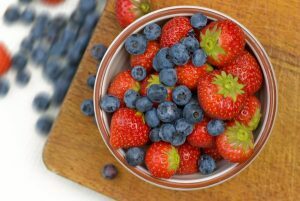 Antioxidants are believed to play an important role in preventing the development of such chronic illnesses as heart disease, stroke, cancer, Alzheimer’s disease, Rheumatoid arthritis, and cataracts. 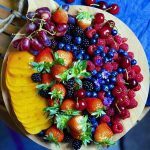 Although antioxidants cannot completely rid our bodies of free radicals, they can however work to retard or minimize the damage caused. Antioxidants block the process of oxidation by neutralizing free radicals. By neutralizing, they themselves become oxidized. For this reason, our bodies are always in need of a constant source of antioxidants. How antioxidants work is a two-way process. First is the chain-breaking. This is where the antioxidant comes in to break the chain reaction of free radicals turning other molecules into free radicals like them. Chain-breaking is also called Stabilization. The other aspect is more on the preventive side. Antioxidant enzymes like superoxide dismutase, catalase, and glutathione peroxidase prevent oxidation by reducing the rate of chain initiation. This time, instead of waiting for the free radicals to make a long chain of free radicals, antioxidants scavenge initiating radicals and destroy them before oxidation is set in motion. Thus, aging is delayed and not only that, diseases and other illnesses caused by harmful free radicals are avoided. You’ve probably heard of the saying “An apple a day keeps the doctor away.” Well, the same thing can apply to cherries and blueberries as well. Here are 12 of these foods that should make it to everyone’s antioxidant food list. In the antioxidant food list fruits category, among the fruits that topped the list are prunes or dried plums, blueberries, and cherries. These three fruits were said to contain the highest concentration of antioxidants out of all fruits tested. Lots of vegetables made it to the antioxidant food list but among those that crowded the top spot are artichokes, red cabbage, and russet potatoes. Beans and Brussels sprouts were also touted to have a large amount of antioxidant capacity. Out of all nuts, pecans, walnuts, and hazelnuts are the nuttiest. Pecans especially were said to contain the most number of antioxidant compounds and definitely made it to the top of the antioxidant food list. Niemes said that scientists have recently discovered new sources of antioxidants. 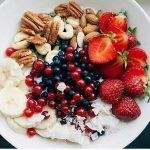 “While we think of a lot of antioxidants are found vitamins A, C, and E…scientists are discovering there are lots of other things in foods that have antioxidant properties,” she said. 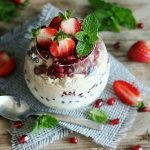 Before, our antioxidant food list only contained fruits and vegetables rich in the above-mentioned vitamins and some minerals, such as selenium. Now, the antioxidant food list ais admitting more and more fresh produce that didn’t make it to the previous cut. Oregano, cinnamon, and cloves are among the spices that are included in the antioxidant food list. Antioxidants are said to act on free radicals that cause damage to the cells. 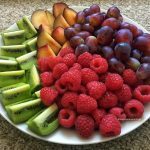 By stopping free radicals from multiplying and turning other healthy molecules into free radicals themselves, antioxidants help prevent caused by massive free radical damage. Antioxidants have been linked to treatment or prevention of cancer and heart disease. They are also said to reverse memory loss. 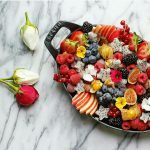 Though studies are for the most part inconsistent with antioxidant supplements, there is no arguing the benefits of antioxidants found naturally in fruits and vegetables we eat everyday. 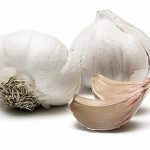 Why garlic is so healthy?